Bruster's Real Ice Cream - 18519 N. Frederick Ave. Gaithersburg, MD (240) 631-1222. 6960 Crestwood Blvd. Frederick MD (240) 651-5817. 23825 Mervell Dean Road Hollywood MD (301) 373-5000. 160 Ritchie Hwy., Suite A-12 Severna MD (410) 793-5010. Bruster's is a chain of premium ice cream shops that focuses on made-from-scratch recipes. Flavors change seasonally but include items such as Banana Nut Bread, Almond Chocolate Coconut, Alpine Fudge Crunch, Banana Peanut Butter Ripple, Birthday Cake, Cappuccino, Cherry Almond, Cinnamon, Fudge Brownie, Mint Oreo, Peanut Butter and Jelly, Purple Dinosaur, Sea Salt Caramel, Tiramisu and many more. Dolcezza Gelato & Coffee - Several locations. Union Market: 550 Penn St. NE Washington DC (202) 333-4646. CityCenter DC: 904 Palmer Alley NW Washington, DC (202) 733-2879, Logan Circle: 1418 14th St. NW Washington DC (202) 817-3900. Dupont Circle: 1704 Connecticut Ave NW Washington, DC (202) 299-9116. Georgetown: 1560 Wisconsin Ave NW, Washington, DC. (202) 333-4646. The Wharf: 99 District Square SW, Washington, DC (202) 414-7595. Bethesda Row: 7111 Bethesda Lane Bethesda, MD (301) 215-9226. Fairfax: 2905 District Ave.
Fairfax, VA (703) 992-8701. The gelato and coffee shop serves handmade gelato and expertly crafted coffee drinks. Gelato is made daily at Union Market. Most ingredients are locally sourced. Flavors change seasonally but include favorites like Salted Caramel and Valrhona Dark Chocolate and Thai Coconut Milk and Peanut Butter Stracciatella. Ice Cream Jubilee - Capitol Riverfront: 301 Water St SE, Washington, DC (202) 863-0727. Logan Circle / U Street: 1407 T Street NW, Washington, DC (202) 299-9042. Ice Cream Jubilee offers premium ice cream flavors and sources its cream from South Mountain Creamery of Middletown, Maryland. Flavors change seasonally but include unique ones like Banana Bourbon Caramel, Coconut Lychee Lime, Cookies and Cookie Dough, Gin & Tonic, Honey Lemon Lavender, Thai Iced Tea and more. Larry's Homemade Cupcake's & Ice Cream - Dupont Circle: 1633 Connecticut Avenue, Washington, DC. (202) 234-2690. The ice cream parlor is a local favorite and offers some unique flavors like Cinnamon Oatmeal Cookie Dough, Cleopatra (spiced ice cream swirled with dates and coconut), and Jack on the Rocks. Milk Cult - The local company produces ice cream made from local products including cage-free egg yolks, organic cane sugar and high quality, rBGH-free milk and cream from Kreider Farms. Pints and ice cream sandwiches are for sale at places like Union Kitchen, Glen Garden Market, Little Red Fox, Takoma Park Food Co-op, Each Peach Market, and several local Whole Foods locations. Moorenko's Ice Cream Café - 8030 Georgia Ave, Silver Spring, MD (301) 588-5656. Moorenko's offers hand-crafted ice cream in a huge variety of flavors made with products sourced from small Pennyslvania creameries. Flavors include Salted Carmel with Pralines, Cookie Overload, Black Raspberry Chocolate Chip, Bittersweet Chocolate, Honey Lavender, Coconut Almond, Amaretto, Butter Brickle and many more. Moorenko's products can also be purchased at several grocers in the Washington DC area including Glen's Garden Market (2001 S Street NW), Giant and Whole Foods. Pitango Gelato - Several locations: Penn Quarter: 413 7th Street, NW, Washington, DC (202) 885-9607. Logan Circle: 1451 P Street, NW, Washington, DC (202) 332-8877. Capitol Hill: 660 Pennsylvania Ave. SE, Washington, DC (202) 701-6222. Adams Morgan: 1841 Columbia Road NW, Washington, DC (202) 615-2419. Reston Town Center: 11942 Reston Town Center,Reston, VA (703) 606-9906. Pitango specializes in classic, old style Italian gelato and sorbets made from premium ingredients including organic grass-fed milk, cream, free-range eggs, raw cane sugar, fresh fruit and nuts and premium chocolates. Flavors include chocolate hazelnut, caffe' espresso, Stracciatella (Vanilla Chocolate Chip) Pistachio, Black Tea, Coconut, Cinnamon, Raspberry, Rhubarb and more. Thomas Sweet Ice Cream - Georgetown: 3214 P St NW, Washington, DC (202) 337-0616. The menu includes home made ice cream and blend-ins, baked-from-scratch pastries and fresh roasted coffees. 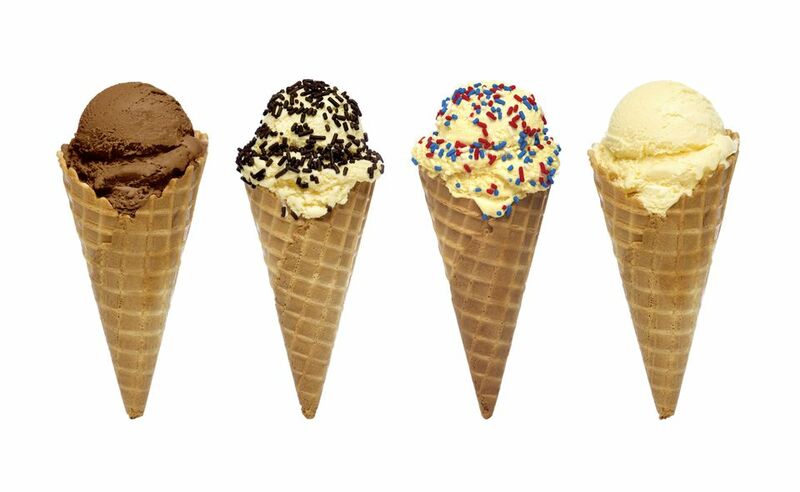 Flavors include classics like pistachio, strawberry and mocha chip, and more unique ones like cotton candy, hazelnut, and lemon custard. 6641 Arlington Blvd., Falls Church, VA (703) 534-4200. 109 King St., Alexandria, VA (703) 836-5676.